Edging – Now how neat is that? Some people think that edging a lawn is an unnecessary obsession not worth the effort – and edging does indeed take a fair amount of effort. 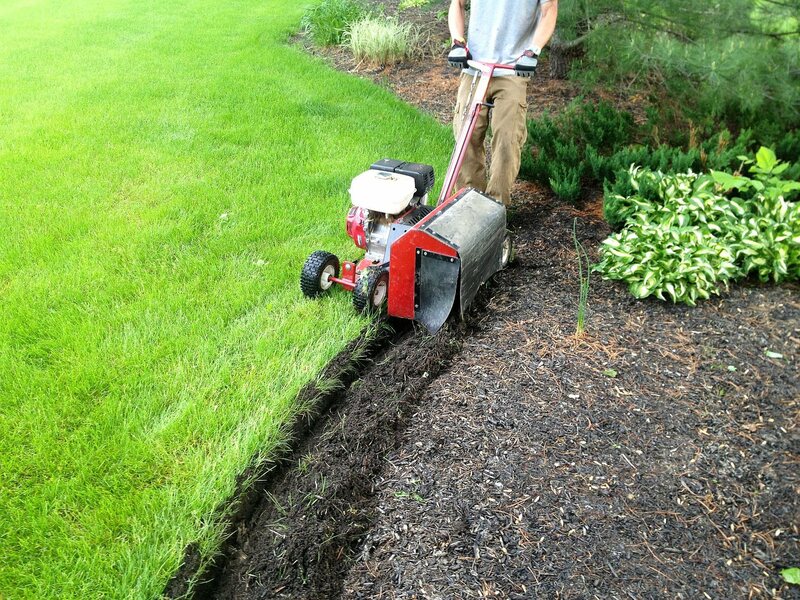 Other people swear by edging because of how neat and tidy it makes the lawn look, not only next to a sidewalk or patio but also in forming distinctive lines between beds and lawns. Frankly, we're part of the pro-edging crowd; we love the visual effects and the way that edging keeps stray weeds from encroaching. Of course, it helps that we've invested in a handy dandy power tool that's a whole lot easier to use than a handheld shovel. So, please, ask us to make you sharp-looking edges that define your beds and borders; you'll love the look, and we won't even tell others that you didn't do it yourself. There's nothing like spreading mulch to dress up your beds, show off your plantings, keep down the weeds, and hold in the moisture. 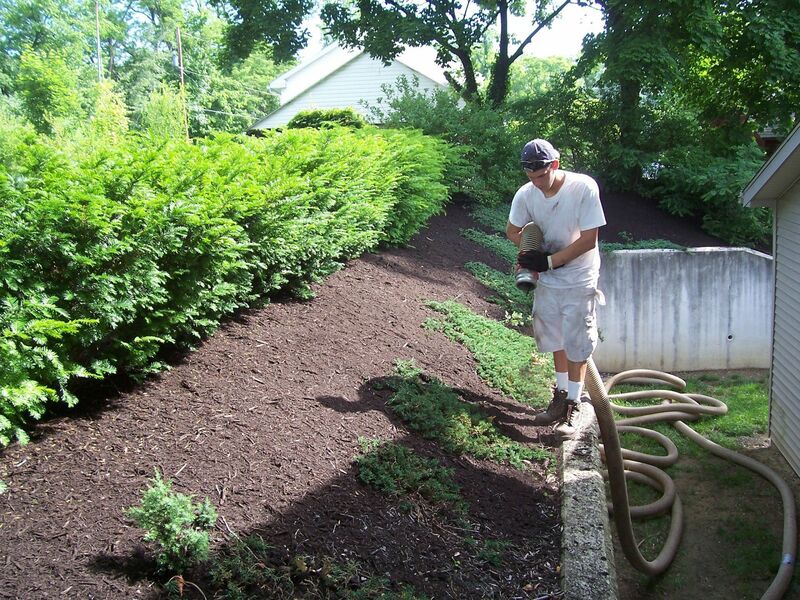 Our mulching looks great no matter what the size of your beds. But if you have steep embankments or large open areas, we use a huge bark-blowing machine that makes us even more efficient and sets us apart from the competition. 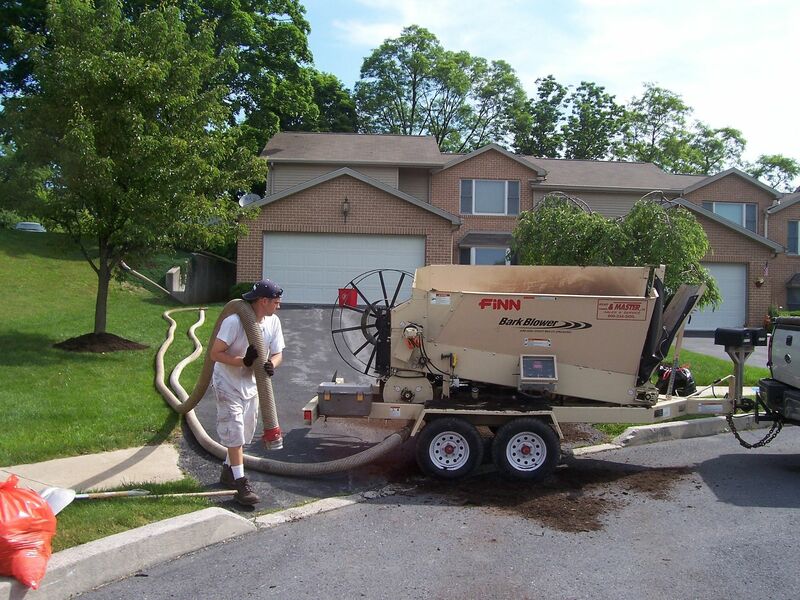 So call us; you'll save time, trouble, and sweat as we add the finishing touch to your landscape.